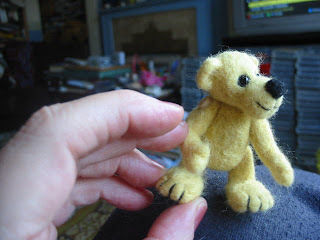 Well....I tried to make a bear, but the wool (merino - the 25% off at Christie bears persuaded me to buy a starter kit! )...really wanted to be a dog. I had tried a couple of years back,. but half-heartedly. I still think it takes too long....but I can see the attraction. He's very cute Anji ... you've done a great job! 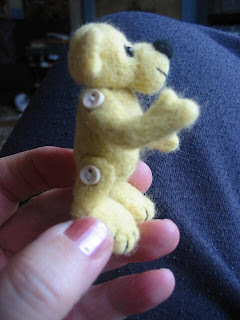 I tried needlefelting a while ago too, but like you, found it took way too long to complete anything and I just don't have the patience for it. I also think it would put me out of business because it would take ages to build any stock!!! Oooo that is cute Anji. I too never had a lot of success with needlefelting and just use it to add little highlights now, like muzzles, noses and stuff. 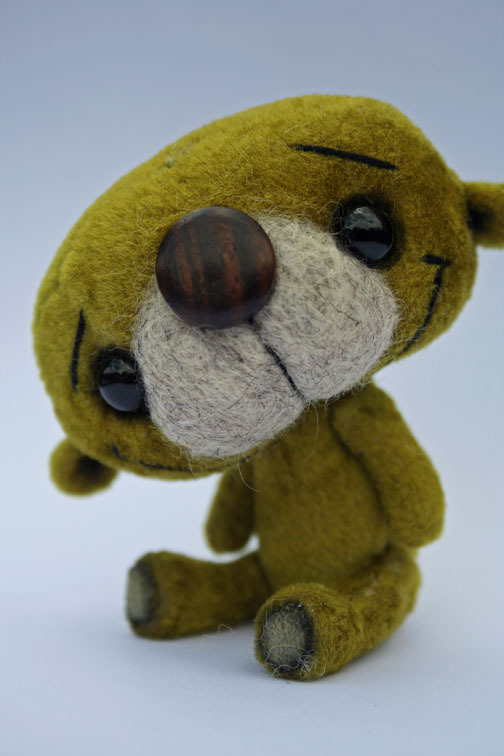 This little fella is new and has a needlefelted muzzle. Oh Bry, what a cutie! You're going great guns again!